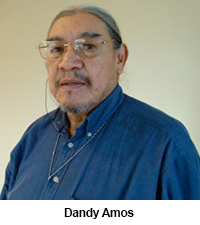 Dandy Amos is fifth generation living on the Stoney Nakoda lands. He says that Stoney reserve translates to mean ‘only for the horse pastures’. 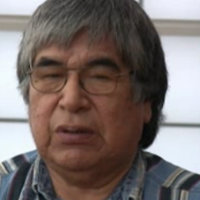 He shares a story about the Stoney people living along the mountains and of the Kananaski Lake wild horse story. Dandy also shared his grandfather’s caution to him. He was told not to go to school every day, in fear of losing his own Stoney language and culture. 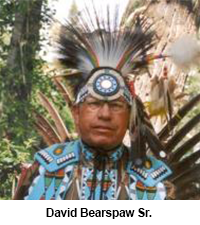 David Bearspaw Sr. is a Calgary Stampede tipi holder and a traditional dancer. 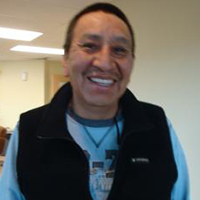 He visited Chief Jacob Bearspaw School to visit with students and recalled wild horse expeditions over the years. He impressed upon students the importance of respecting horses. David Bearspaw speaks about the early days, when Stoneys first got involved in capturing wild horses. It wasn’t easy to locate where they roamed so they had expeditions, where David was one of the lucky ones to capture these wild horses. 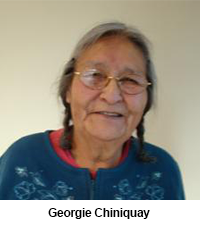 Georgie Chiniquay speaks in Stoney about wild horse origins and about First Nation diet and health. 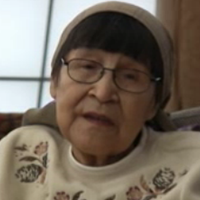 Annie talks about her time in residential school which she attended until she was 16 years old and met Sam. They have been together for 50 years and have many children and grandchildren. Sam Ear talks about the difficult time he had in school, which led him to missing a lot of it and still needing an interpreter today. 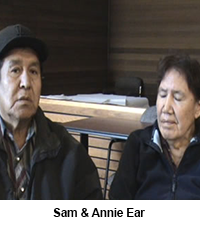 Sam and Annie met when he was fifteen years old and had kids soon after that. 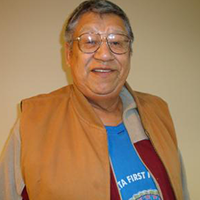 Sam worked for the next seventeen years to support his family. Sam tells a story about going hunting with his brother and father, where they saw a lot of wild horses. 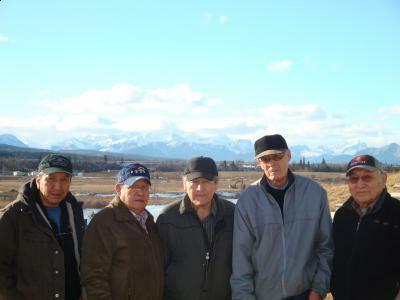 Their father told the boys that when people go camping, they lose their horses and those horses must still be out there. 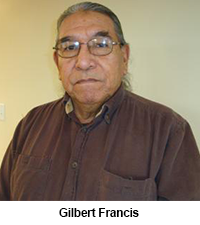 Gilbert talks about learning respect from horses and the power of a reciprocal relationship with horses. 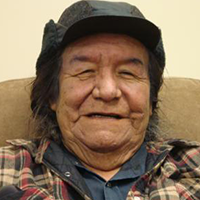 He recalls stories from his grandparents and using dogs and horses together. 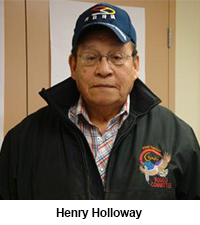 Henry Holloway talks about his travels around the world to promote World Peace with Walking Buffalo as well as the importance of showing respect for wild horses. 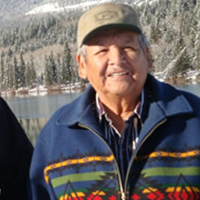 Henry and Sykes talk about growing up as horsemen and share their experiences with wild horses. When they were young, they were called blackbirds. They took care of the horses and in turn, the horses took care of them. Henry tells a story about when he traveled around many countries and was sponsored to promote world peace around the world. 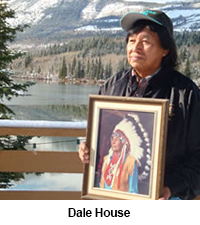 Dale House is seen here holding a photo of his father which you will see hanging on the wall at Nakoda Lodge. 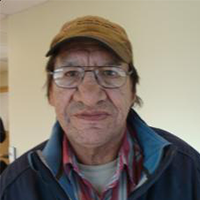 In 1948, Dale was born and raised in the northern country. He went to school since he was seven years old up until he was sixteen years old. While he was growing up, his parents and grandparents taught him how important horses were. They used them for hunting, to transport items, and to chase wild ponies. 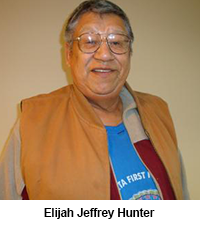 Elijah Jeffrey Hunter talks about the differences from in the past when horses were used for work and the present when they are used mostly for sport. It is important to live in harmony with the wild horse culture. 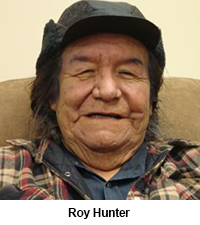 Roy Hunter talks about the Stoney Nakoda traditional relationship with horses and respect for wild horses. 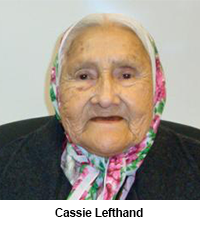 Cassie Lefthand is from Eden Valley and she’s been on the reserve since 1946. She sent her kids to school in Longview so that they learn the English culture but also the Stoney culture, which is very important to her. Cassie recalls her grandfather’s story, where he came across a herd of wild horses. Before that, within the Stoney territory, there were hardly any horses around and everything was done by foot. Over time, they noticed herds of horses up in the mountains and from then on, wild horses became a big part of the Stoney culture. Back in her earlier days, one of her brothers was very good at catching horses and in turn, she became very good at it, too. The majority of them were very wild but there were always one or two horses that could be captured. 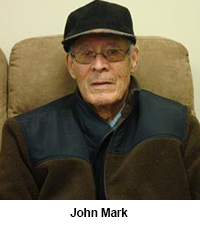 John Mark is a Calgary Stampede tipi holder. 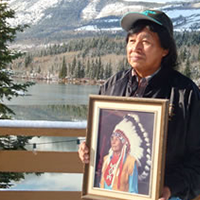 He talks about his family and Stoney Nakoda traditional relationship with the land and with horses. 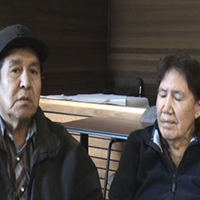 John Mark speaks about his life in stoney, while Sykes Powderface translates his story. Bill McLean explains to a student about how tough the wild horses are. The wild horses, called “cayuse” horses, could work very hard all day long while regular horses couldn’t. A student asks, “Where did the first horses come from?” Bill McLean talks about the coming of the first horses and how they replaced dogs to carry loads. Van Poucette talks to Morley students about halter training a colt who was left behind and seperated from his mother. He also talks about how the wild horses, when trained, can climb steep hills and travel well on ice. 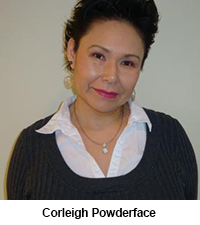 Corleigh Powderface tells about her family and life on and off reserve. 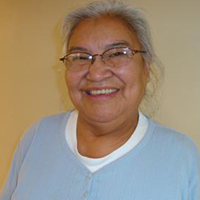 She talks about her life-long love for horses and her current horse ranching operations. 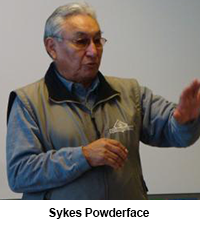 Sykes Powderface is also one of the three coordinators who gathered elders to be interviewed and who often translated Stoney stories into English for this website. 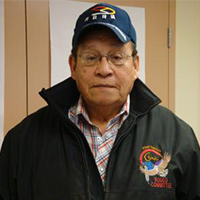 Sykes was invited to Senator Riley School and to Oilfields High School to speak with students about Stoney Nakoda traditional stories of wild horses. 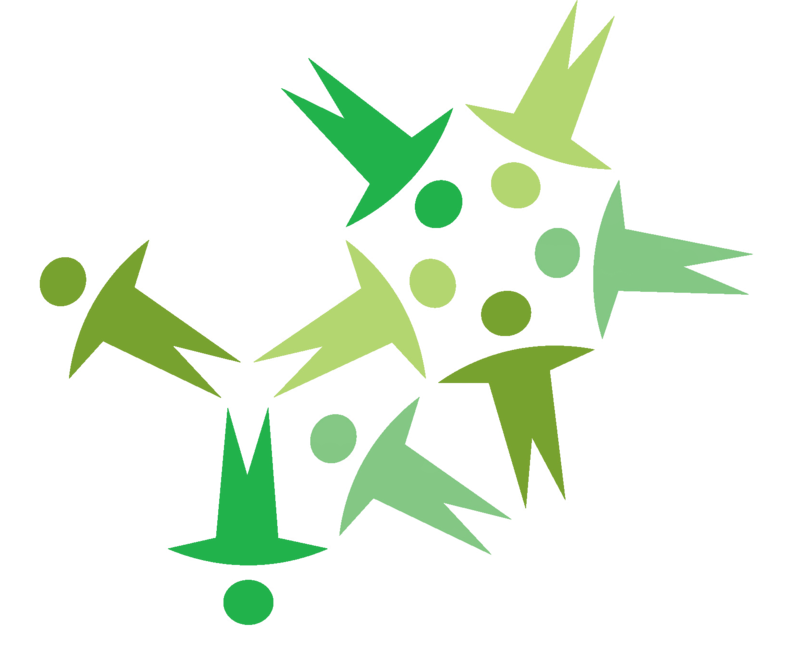 You will find student reflections of his visits in the student work section of this website. 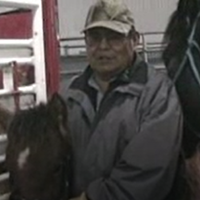 In the following videos, Sykes and Henry Holloway talk about their experiences with Wild Horses. 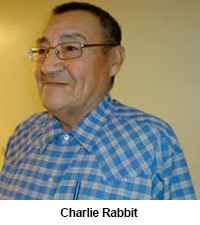 Charlie Rabbit shares his story in the Stoney language. 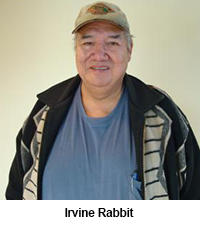 Irvine Rabbit talks about times when they used horses as a primary means of transportation. “Wild horses should be left alone in the environment, they should remain free,” he says. 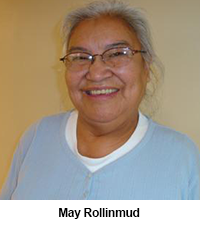 May Rollinmud talks about the importance of family and the horses; how it is important to care for horses for future generations. Michael speaks about the hunt for wild horses; the need to find horses through spiritual endeavours. 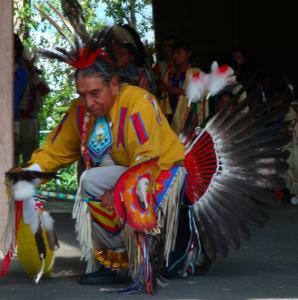 He shares lessons learned from his grandfather and tells a little about the ceremonial horse dance in the summer. 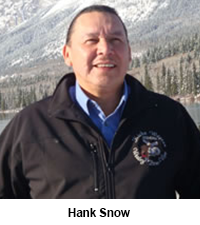 Hank Snow speaks of the history and future of wild horses with First Nation people. 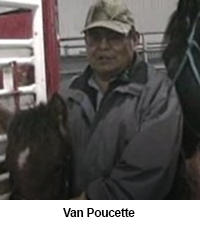 He recounts his personal experiences catching wild horses and mountaineering, He also talks about the physical differences between the wild horses in Stoney Nakoda territory compared to domestic horses. Hank Snow introduces Wild and Free for the official website launch. 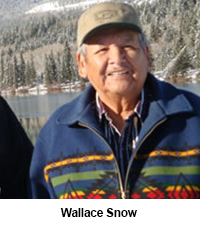 Wallace Snow is 81 years old and his older brother was the late Chief John Snow. 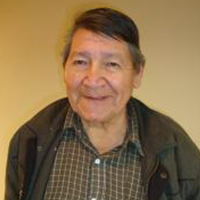 Just when he was going to learn his culture and language well, Wallace was put into residential school and was there for about 10 years. Then he was kicked out and wasn’t able to get an education. 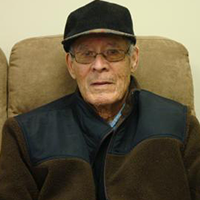 He worked with a friend, named John Laurie, who taught him how to speak and write in English. After that, John taught Wallace to be a politician. 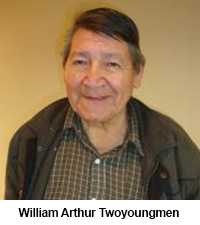 He became one of the founders of the Indian Association of Alberta, writing resolutions and going to meetings. Wallace was a counselor for two terms and even after being nominated the third time, he declined so an older candidate could be counselor. In 1956, he was central vice president of an Indian association. His dad and brother were chiefs so he belonged to a political family. 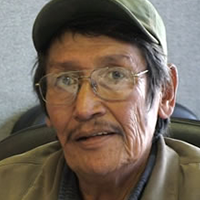 Wallace Snow speaks about chasing broken-leg, wild horses. He says we want them in the forest and in the hills because they’re used to living out there . If you buy a horse from the rancher, you won’t be able to take it there. If you take a broken-leg horse, you can ride him in a national park or in the rough. We can pack saddles, meat, and tipis on them. Wallace used to pack them and take hunters out with them. He used broken-leg horses, wild horses, the only ones that would do. Wallace Snow tells a story of when he was young and shares the experiences he has had with taking care of the horses while growing up. 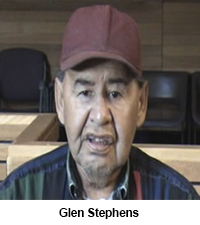 Glen Stephens was born in the Longview area in December of 1945. 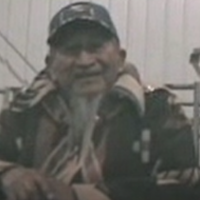 He is very happy to have lived a long life and is proud that he is becoming an elder. 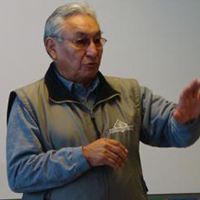 He went to residential school in Morley and when he was 17 he took training in operating heavy equipment. For the next 15 years he worked on and off the reserve in construction. 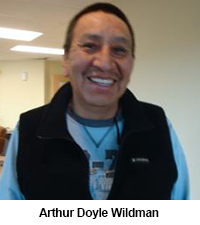 Lately, he has moved back to the reserve and works for the band. Glen speaks about how reliable the horses are and how proud they are as owners. He tells a story of how helpful the horses are with transporting items and leading visitors around the camp. Glen tells us a story about horses. Where do they come from? Nobody knows where the horses come from but he shares a story, from a long time ago, of the Kananaskis area, where there are a ton of wild horses. Because they are hard to find, we shouldn’t try and catch them. He expresses that these wild horses keep the wilderness going just like wild animals. They should run and be free. Wild horses are part of our life. 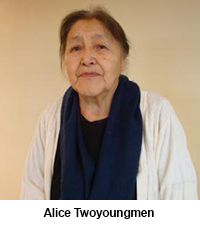 Alice Twoyoungmen, wife of William Arthur Twoyoungmen, speaks in Stoney about riding horses for transportation. 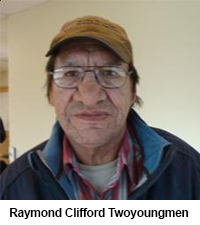 Raymond Clifford Twoyoungmen talks about riding horses in the rodeo curcuit and why horses deserve our respect. 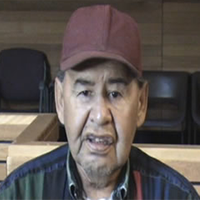 William Arthur Twoyoungmen speaks in Stoney about a coming time that we will go back to the horses… Sykes Powderface provides English translation. 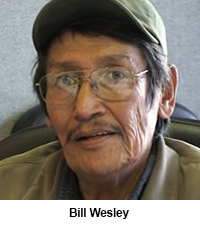 Bill Wesley was born in Morley on December 25 in 1948. As a child he moved to Eden Valley. 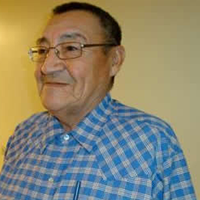 He returned to Morley and went to residential school when his mother passed away until his older sister took him out of residential school and brought him home to Eden Valley. 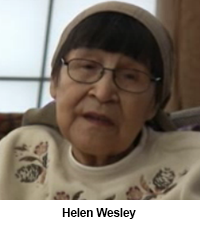 Helen Wesley tells about how the wild horses know the trails and how to go safely in the wilderness. Helen Wesley tells, in Stoney, the complete story of how the wild horses were caught. Helen tells a story about being taught to catch horses using corrals rather than simply chasing them, since they are intelligent animals. She continues to say that we have wild horses so that they can continue to work with people the way it was intended. 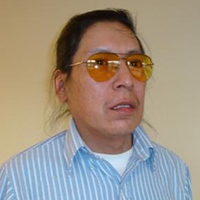 John Wesley is from Ta-Othat, the Big Horn / Stoney Reserve. He has worked around horses all his life. John Wesley tells a story in Stoney of how the horses help people. This is translated into English by Sykes Powderface. 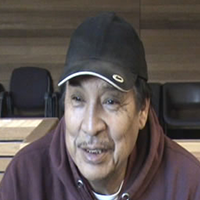 John Wesley from the Big Horn / Stoney Reserve tells a story in Stoney that was told to him by his grandmother. 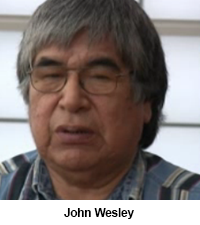 John Wesley talks about how the wisdom of the wild horses can help those who respect the horse. 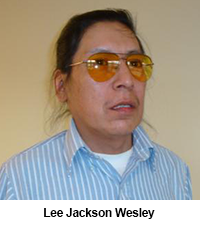 Lee Jackson Wesley talks about the importance of the spiritual connection to keep people in tune with nature. 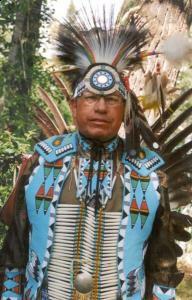 He speaks about ways in which horses are respectful and spiritual and the need to keep wild herds healthy and alive. 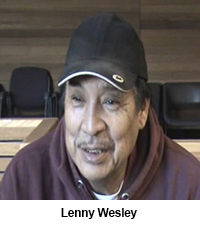 Lenny Wesley was born in 1950, in a log cabin at Longview, which is now Eden Valley. 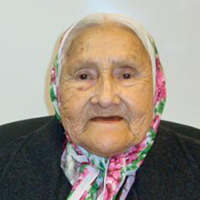 A year or two after, it was officially declared an Indian Reserve. 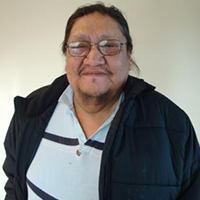 He is a residential school survivor of grade 9 or 10 and has upgraded his education through correspondence. In fact, he is the oldest one there. Lenny had to upgrade his science, writing skills, and math. 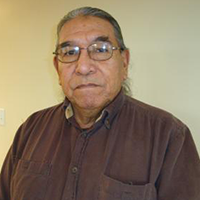 There was a job opening he applied for and acquired, which was for an environmental consultant position, involving working off reserve sites and looking after traditional lands that were ancestors for thousands of years. Lenny has been with that company for six years now. 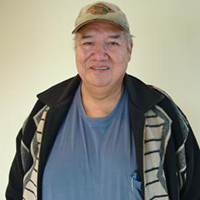 Prior to that, he has done various odd jobs, such as a housing coordinator, a school bus driver, and an entrepreneur. It was a learning process. 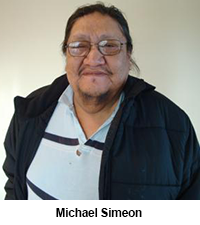 He is now a land consultation officer, which he acquired through his upgrading, and is certified in the Alberta standard region. He has a diploma and knows how to make measurements in the field. About 7 or 10 years ago, Lenny was a band counselor and his cousin was the chief. He informed the band where they need to be used for their knowledge. 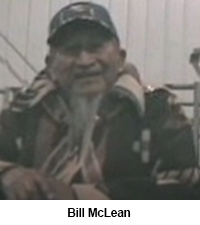 He also put in however many hours he could in a helicopter and flew for two years with a pilot, navigating, and GPS reading with coordinates, latitude, longitudes, and heights. He still has difficulties map reading but there’s always GPS for that. Lenny thought he’d become a helicopter pilot. He went one summer and over two months, he was doing two short days throughout the week but quickly canceled that idea. Lenny tells a story of a domain, where there was a stallion and fifteen to twenty-five mares, which the elders named Shawnistawiatpo, The Light Sorrel Mare’s Domain. Even though the mare was elusive, smart, and cunning, his dad and his brothers trapped and cornered it. After a bit of convincing, Glen’s father agreed to sell the mare for a lot of money. They would visit her from time to time and saw that she had a good home and was being treated well. Arthur Doyle Wildman talks of his personal experiences growing up with horses, how horses are a form of therapy. He also says wild horses help to create balance in the ecosystem. It would be devastating if they were to go extinct. Thank you to Peter Snow, Sykes Powderface, Gloria Snow and Chris Goodstoney for coordinating community members to participate in this wild horse study. 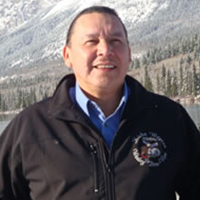 If you wish to contact an elder, please contact the Stoney Tribal Administration at www.stoney-nakoda.com or Phone: 403-881-4276. 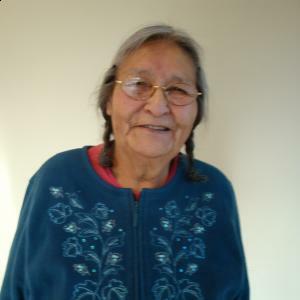 Many Stoney Nakoda ‘Holders of Traditional Knowledge’ and knowledge of horses have blessed this web resource with providing some of their wisdom through stories. 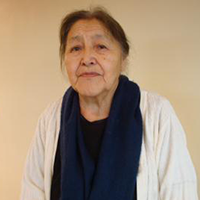 This is only a beginning of sharing some of their knowledge and wisdom for educational purposes, for they know much much more… As one elder said, Traditional Knowledge does not just exist in the past. It also has an important role in the future.